The tin resembles the Hall of Justice, home of the Justice League, and provides a home for the seven Mighty Meeples figures. 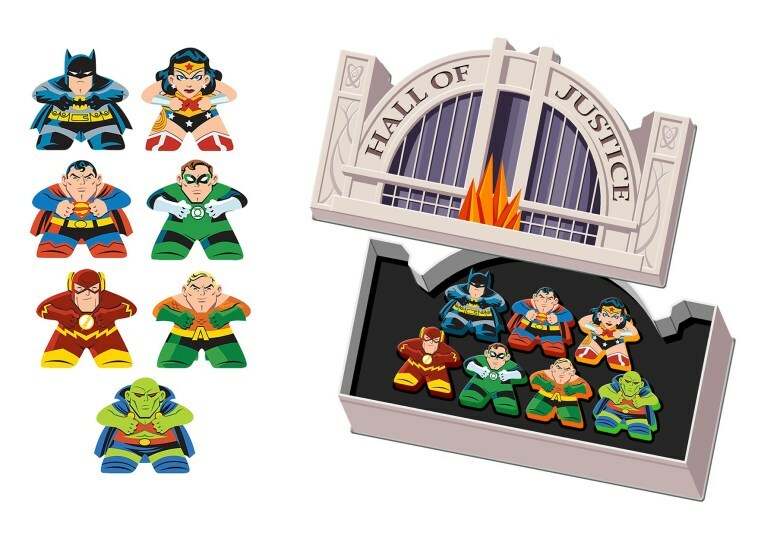 Each of the seven Justice League items are 1-inch wood Mighty Meeples figures that can be used in board games. The Mighty Meeples: DC Justice League collection Tin has a suggested retail price of $14.99 and will be available at hobby retailers nationwide.